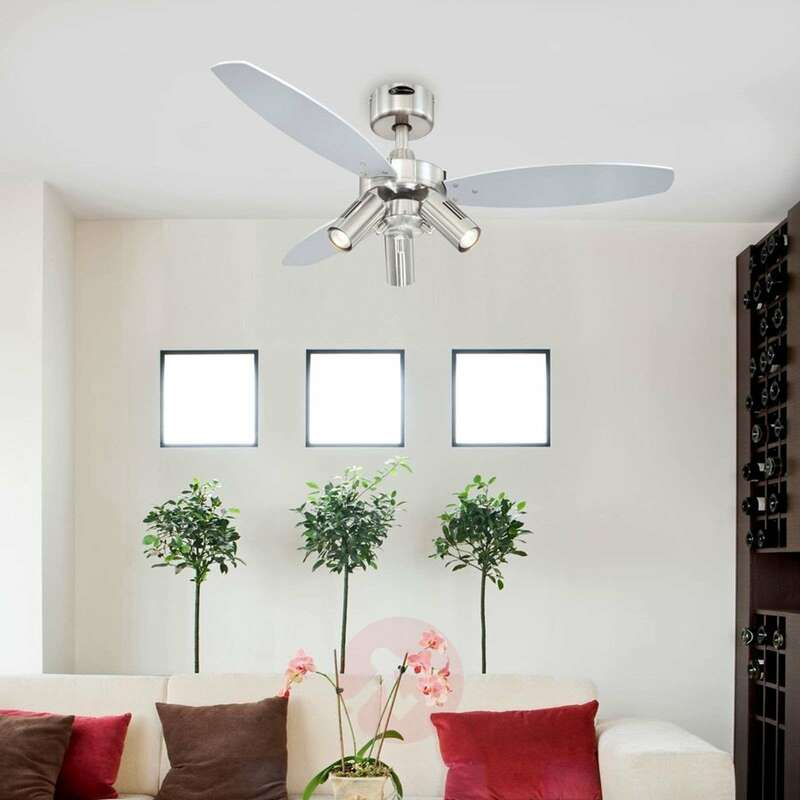 The three-blade Jet Plus ceiling fan from Westinghouse. 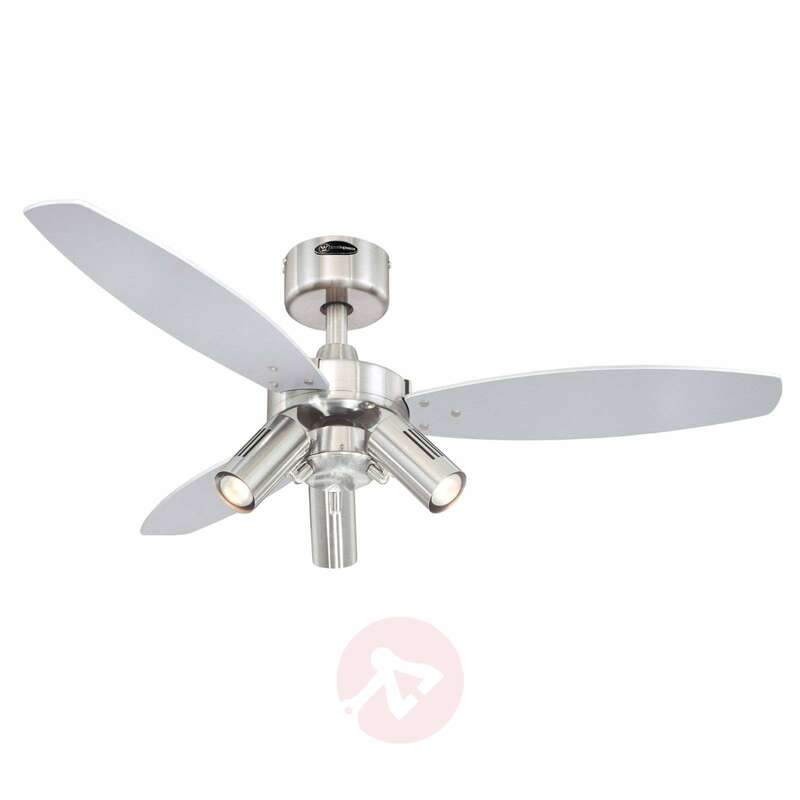 Not just a useful room accessory, but also fulfils a decorative purpose with its elegant look with a brushed nickel housing and the two-coloured blades in silver and wenge. 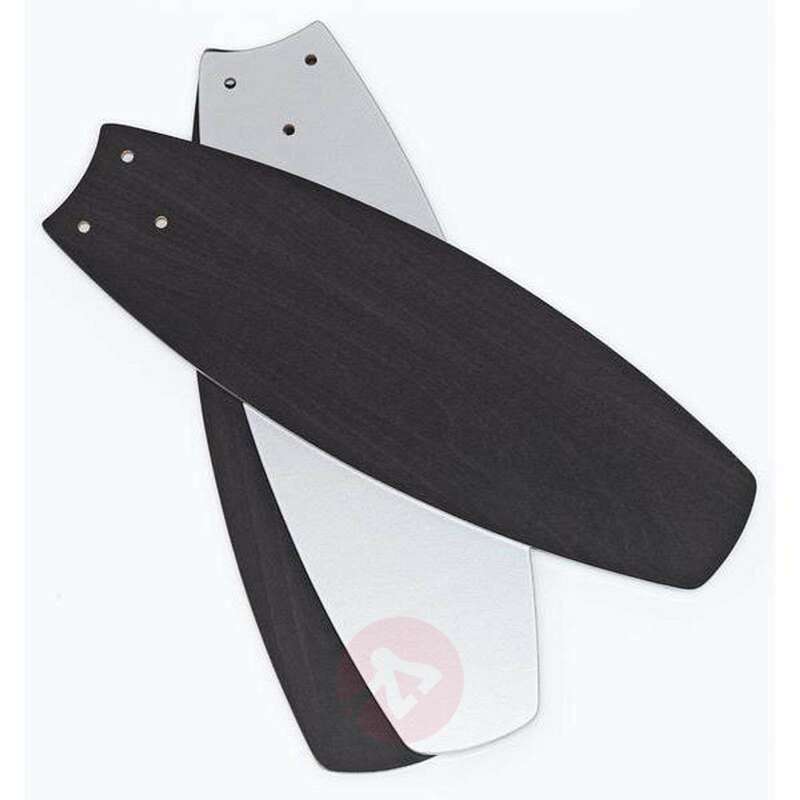 It has three power levels from 32 to 34 to 40 Watt and runs at speeds of 185, 230 and 280 RPM. 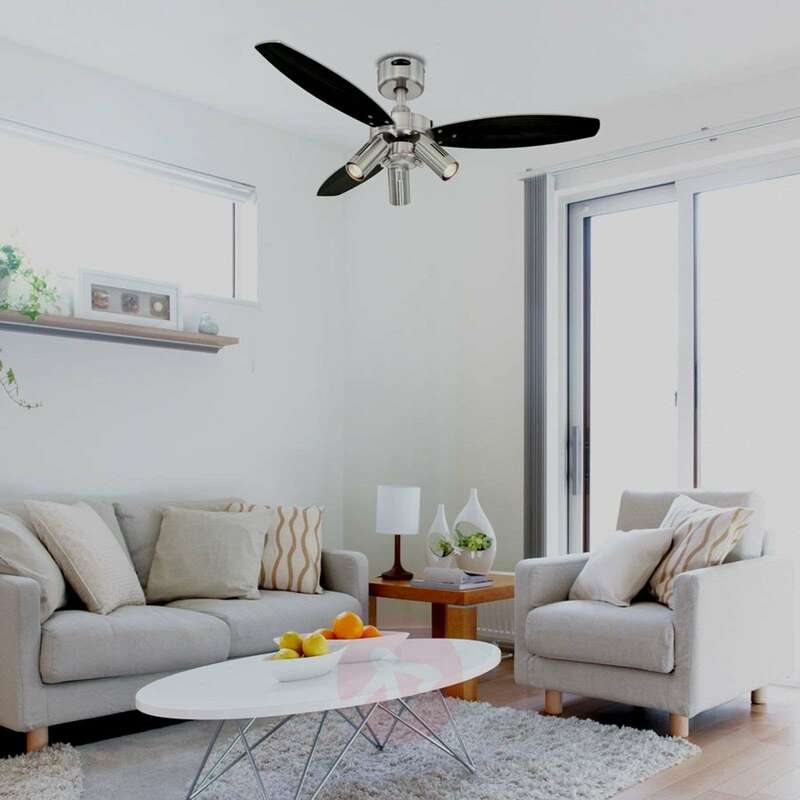 In rooms up to 15 m² in size, the fan, which can rotate in both directions, offers a refreshing cool breeze in the summer and in the winter, it contributes to reducing the energy costs. 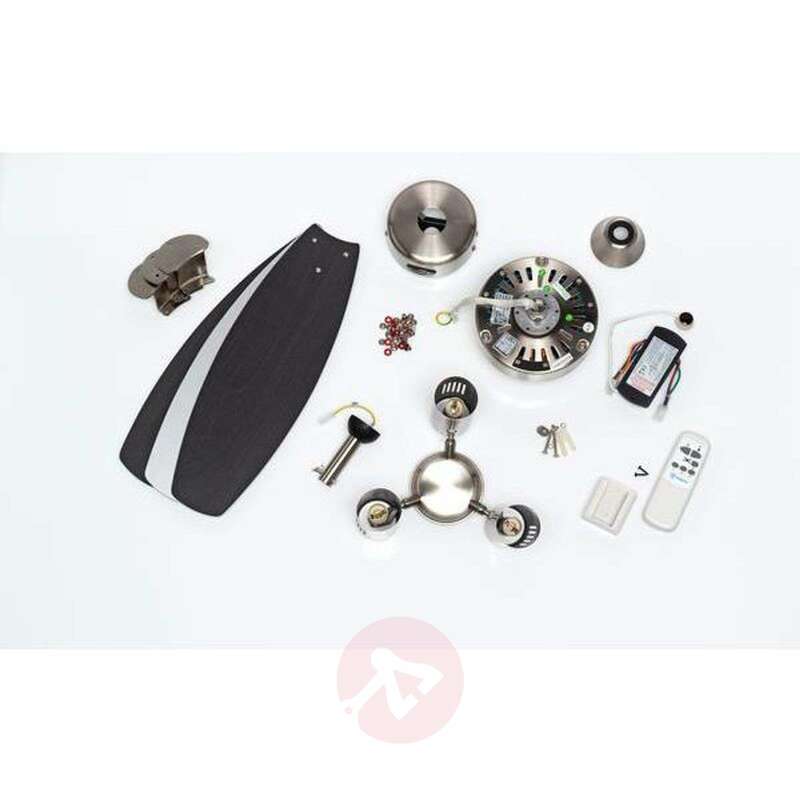 The manufacturer of this brand product provides a 10 year warranty on the motor. Three chic lights also provide adequate general lighting. 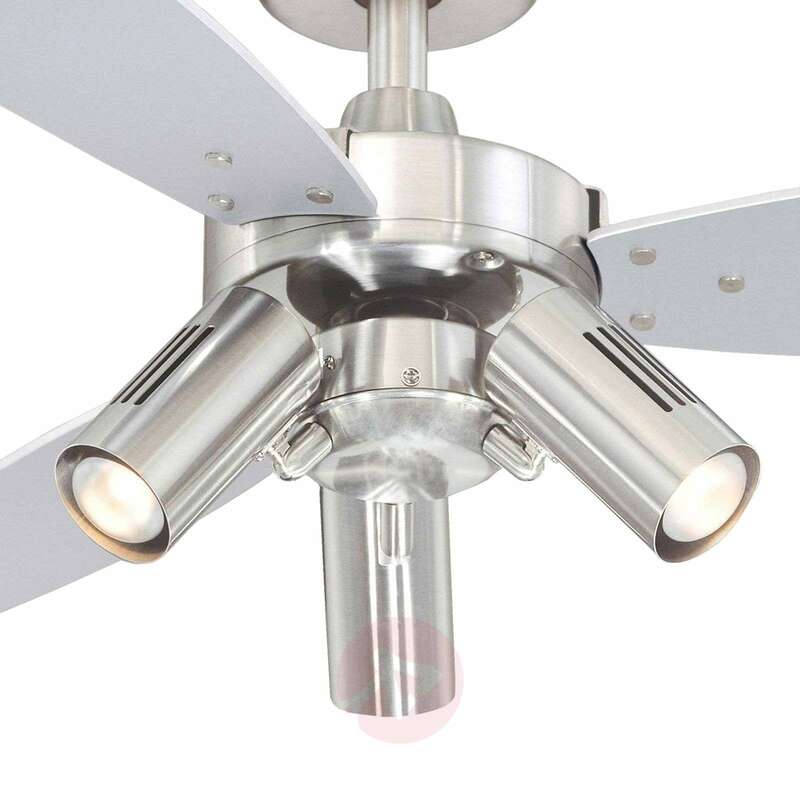 Can be mounted on ceilings with an tilt of up to 40°. 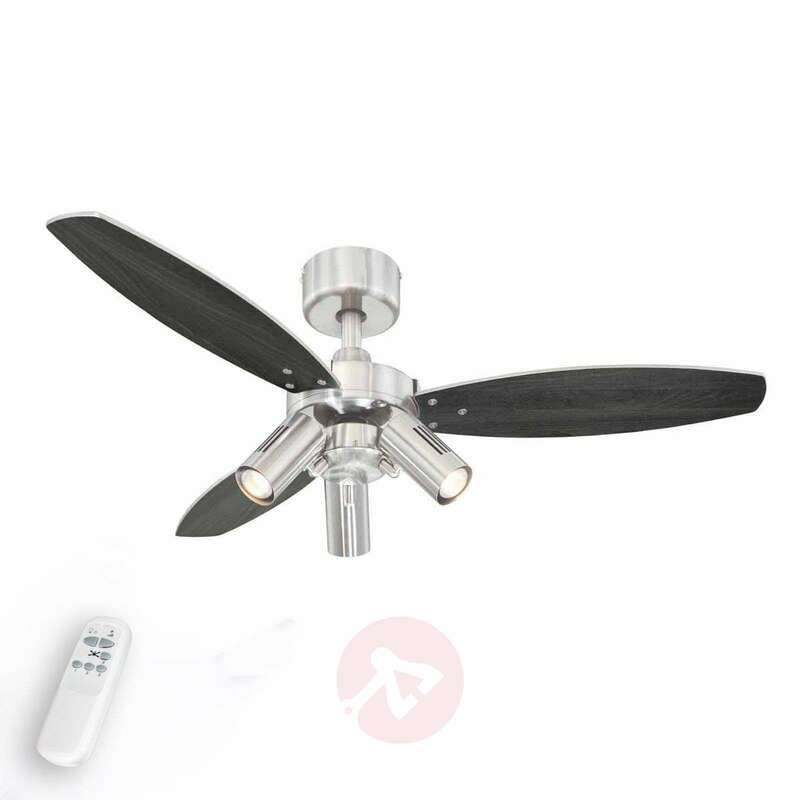 A remote control for simple operation of the fan is included in the delivery. A wall switch can also be ordered via the accessories. The light bulbs are not included and must also be ordered as an accessory. 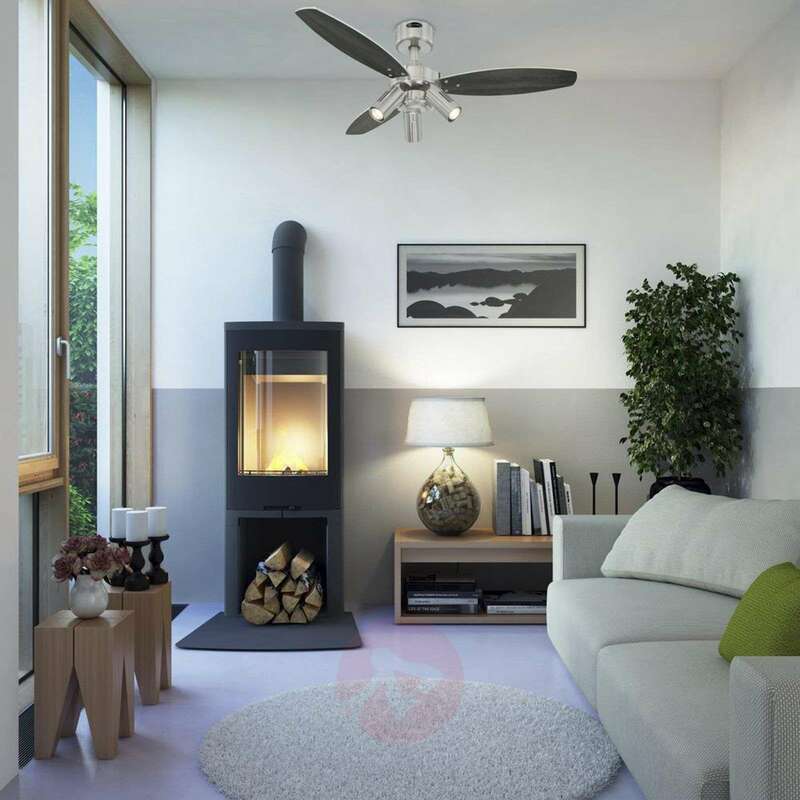 Not really needed to use fan yet (winter) but it looks great and lights perfect for my bedroom. Will be brilliant in warm weather to keep me cool.